An adjustable hat for Montreal fans. 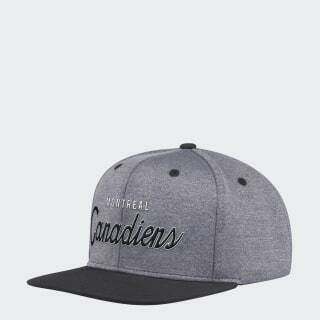 Cheer on every Canadiens goal in this cap. Made of stretch fabric for comfort, the hat has a snapback closure for an adjustable fit. Embroidered Montreal hockey details show your allegiance.